A detailed analysis of the future development of water engineering was performed during the preparation of the technical and economic substantiation in year 2000. The overall goal was supply of high quality water to the consumers as well as collection and treatment of wastewater without polluting surface and underground water and in compliance with the requirements established in the national and EU regulatory documents. These policy targets have not changed and are still valid. Assurance of a higher level, accessibility and reliability of water engineering services through renovation of the existing pipelines and construction of new ones. Improvement of the quality of drinking water. Reduction of the environmental impacts of the pollution caused by wastewater through improvement of the quality of wastewater treatment plants and connection of new subscribers to the centralised wastewater drainage network. - Technical and economic substantiation. In 1999, Jūrmala City Council, in collaboration with the Ministry of Environment and limited liability company „Jūrmalas ūdens”, commenced the preparation of a water engineering project by using the required technical assistance and investments from local and international sources. In year 2000, as part of the technical and economic substantiation, a long-term investment program for the period till year 2012 was developed for the water engineering in Jūrmala. Based on an analysis of the current situation and a comparison of several development alternatives, the water supply and wastewater sewage system development plan to be implemented was established. Due to the limited funding, priority project components were established and included in the first stage of the project. Iron removal plant with capacity 1,750 million m3/year – max. 415 m3/hour; 6500 m3/24 hours, second elevation pump station with capacity 470 m3/hour, clean water reservoir with volume 1200 m3, three new water wells, non-purified water collection pipe from well-field and treated water line with a connection to the municipal network. Treatment plant with capacity 9,050 m3/24 hours. Renovation of 4.4 km of gravity flow sewerage pipelines, flushing and CCTV inspection of 64 km of pipelines. Included construction of a water pipeline and reconstruction of the existing pipelines at Pumpuri – Jaundubulti and Lielupe – Dzintari, construction of a sewerage pressure pipeline with a pump station at Tūristu iela – Jaunķemeri road, construction of a water pipeline and sewerage network at Sloka, reconstruction of the water tower and iron removal plant at Dzintari, reconstruction of an iron removal plant and construction of second-elevation pumping station with reservoirs at Dubulti, reconstruction of the sewerage pump station at Apes, Upes and Sēravota streets, and reconstruction of Ķemeri water tower. An overall evaluation of the correspondence of the results achieved during Stage I to the initially set targets shows that they have been achieved entirely and even exceeded in some components. The results of the program have improved the compliance of the water engineering services of Jūrmala with the requirements established in the applicable EU directives, national regulatory acts, and the fundamental concepts established in the municipal strategic planning documents. In addition to the initially planned items, all sewerage lines with diameter exceeding 200 mm were TV-inspected in Jūrmala to obtain detailed information about their technical condition and plan the further renovation work. These data have been used to draw up the list of pipelines to be renovated during Stage II. The water tower of Dzintari, which was not initially included in the technical and economic substantiation as a Stage II priority, was also renovated. 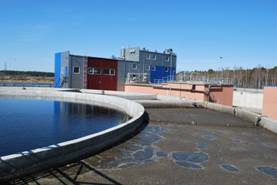 The most essential improvement to the wastewater system is the closure of Ķemeri wastewater treatment plant and channelling of its wastewater to the newly constructed Sloka wastewater treatment plant. Additional connections to the sewerage system have been provided to the population of Sloka area. The strategically most significant pump stations which transfer most of the wastewater to Sloka wastewater treatment plant have also been reconstructed to increase their power efficiency. The reconstruction of the weakest points in the sewerage network eliminated potential damage to the municipal road infrastructure, reduced infiltration, and thereby also the volumes of wastewater to be treated and the costs of treatment. The TV–inspection of gravity sewerage pipelines improved their throughput. The work completed within the first stage of the project have resulted in an improved quality of drinking water, higher levels of reliability of the supply of drinking water, and sustainably stable water supply to the largest parts of the municipal water supply system. 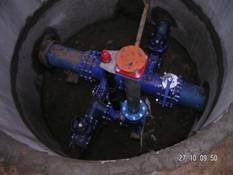 Kauguri and Sloka water supply systems were merged during the project. The pipeline system was reconstructed, including improvement of the quality of drinking water at the consumer’s, reduction of water losses in the system, and increase of the reliability of the system. The total funding of the first stage of the project was more than 25 million Euro, and this amount was divided into 2 parts – the attributable and the non-attributable costs. The attributable costs were the part of the project which was co-financed from the European Union Cohesion Fund in the volume of 75%. To cover the non-attributable costs, other international and local donation and loan financial sources were attracted. 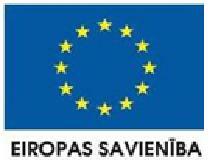 The listing of all financers is the following: European Union Cohesion Fund, state budget, Environment Protection Fund, Swedish International Development Agency (SIDA), Nordic Environment Finance Corporation (NEFCO) donation and loan (borrower - LLC „Jūrmalas ūdens”), European Investment Bank (borrower - LLC „Jūrmalas ūdens”), Jūrmala City Council, LLC „Jūrmalas ūdens”. 7. The unused artesian wells are not plugged, and, therefore, there is a risk of wastewater pollution. Since the second stage of the project included in the technical and economic substantiation prepared in year 2000 is still topical and corresponds to the current situation as well as the future development needs, this feasibility study did not include development and comparison of new development alternatives. Basically, the second stage of the project was updated and the properties of the project components were re-calculated in line with the current levels of consumption and their updated estimates. The technical and economic substantiation has been supplemented with such new components as a second parallel sewerage pressure line from Lielupe to Riga, which will increase the reliability of wastewater transfer, plugging of unused boreholes, and procurement of system operation technology.